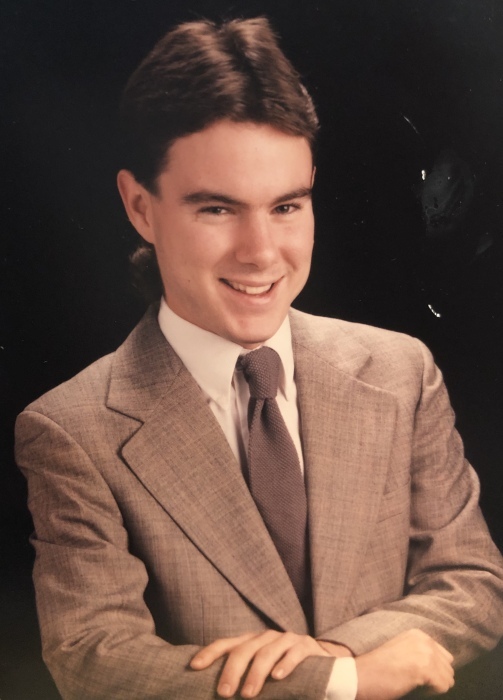 Brian Wayne Nielsen, 45, passed away peacefully November 7, 2018 at the Western Mass. Hospital and now is with the Lord after suffering a battle with throat cancer. Brian was born December 6, 1972 in Westfield to the late Wayne Nielsen and Judith (Barnard) Mulcahy. Brian was a graduate of Westfield High School, Class of 1992. He enjoyed playing hockey, baseball, racing BMX bikes with his brother Jeffery. Brian was an avid New England sports fan. He worked for Big Y for several years, picked tobacco and bought his first car which he loved to drive. Brian was predeceased by his father Wayne Neilsen, uncles; Bruce, Charles, Thomas, his grandparents; Charles and Ida Nielsen and Burton and Theresa Barnard. Brian is survived by his mother Judith Mulcahy, his brother Jeffery Nielsen, his sisters Tammy Shiel and her husband Greg, and Kim Censabella and her husband Michael, his step mother Kathy Nielsen. He was the cherished uncle to Taven, Kaylee, and Willie. He will be dearly missed by many uncles, aunts, cousins, and many friends. The family would love to thank the Western Mass. Hospital for the such kindness and care they took of Brian, including the staff on South 1, social worker Joseph Rapoza who was so kind and lent a shoulder to cry on, and to Dr. Larsen. Calling hours for Brian will be Saturday, November 17th from 9:00am - 11:00am at Westfield Funeral Home, 4 Princeton Street, followed by a Funeral Home Service at 11:00am. Brian will be laid to rest next to his father at St. John’s Cemetery in Westfield. Donations may be made in Brian’s memory to Western Mass. Hospital, 91 East Mountain Road, Westfield, MA 01085 or to Baystate Regional Cancer Program, D’Amour Center for Cancer Care, 3350 Main Street, Springfield, MA 01107. Please visit www.westfieldfuneralhome.com for Brian’s memorial page.